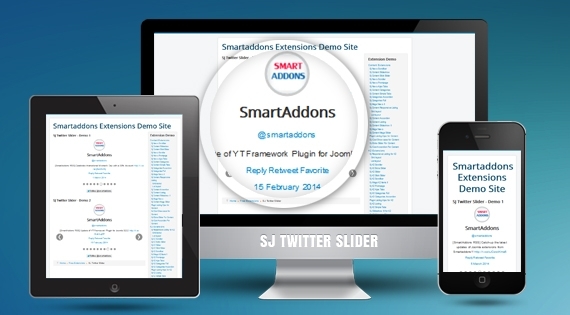 SJ Twitter Slider is now on top list of free Joomla extensions designed by Smartaddons, with purpose of supporting for the latest stable Joomla 3.x release. The Admin Panel is very clear, easy to understand and set params based on your idea. With the help of caching, the site can possibly run faster. Let's check SJ Twitter Slider Demo right now to see it in reality.